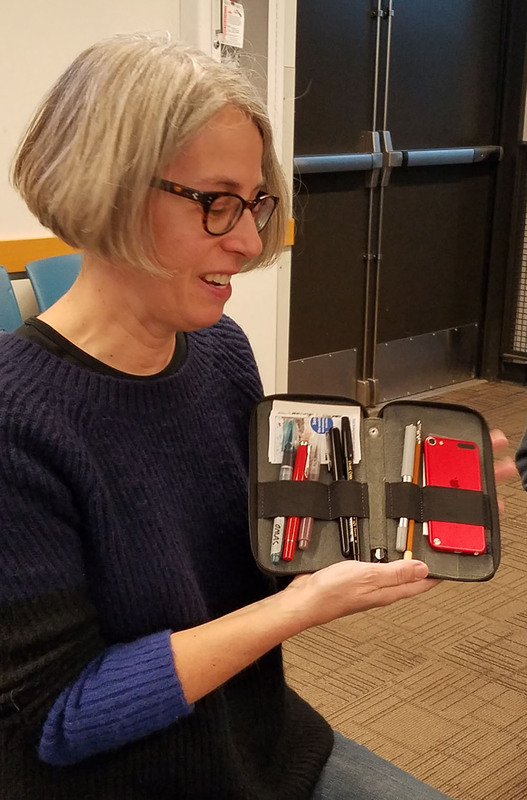 Blanche shows her compact sketching kit. Every winter, USk Seattle substitutes the Gab & Grab for one of our Friday sketch outings. It’s a favorite among long-time members and always brings in new faces, too. Today we welcomed newcomers Pat and Bo and hope to see them at future outings when we actually sketch together! 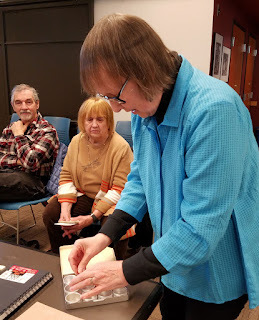 For our fourth annual event, participants were invited to “gab” about their choice of these topics: a new tool; a favorite bag; a favorite art technique book; or an art tip learned in a class, book or from another sketcher. The “grab” portion of the event wasn’t nearly as uncivilized as it sounds (although when I spotted the Jedi vs. Sith pencil box, I called dibs immediately!). 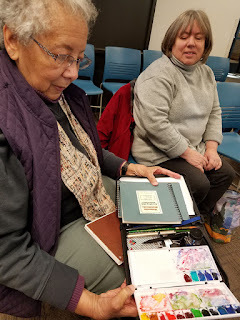 Everyone brought unneeded art supplies or books to trade or give away. Dave generously gave away a couple sets of his laser-crafted ornaments, too. Thanks to everyone who shared information and supplies! made from acrylic sheets. He also gave away several. Anne shows tiny round boxes she offered during the Grab. how she hacked it to accommodate her tools. didn't have to fight her for this awesome find! 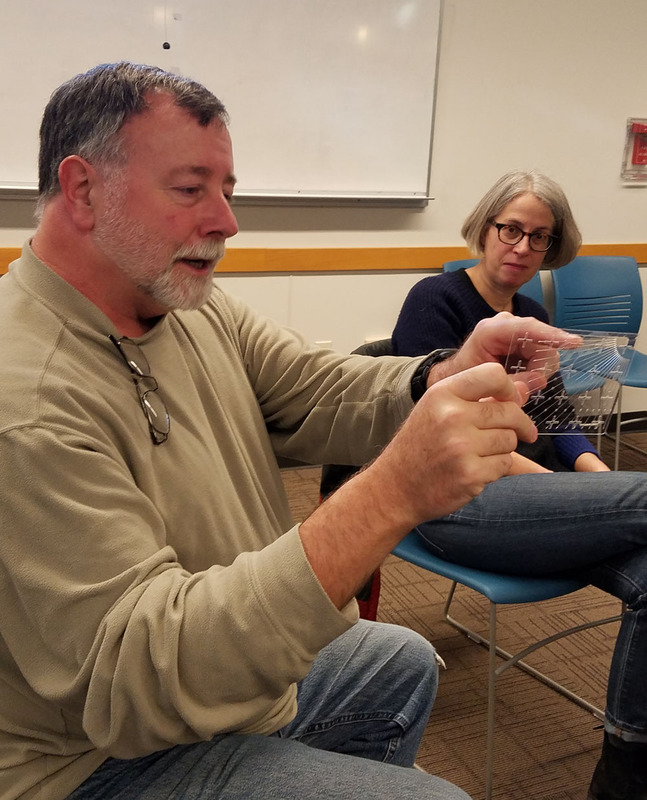 Good article and photos! I have a cold and didn't think I should come. But I was disappointed! I had stuff to bring, too. 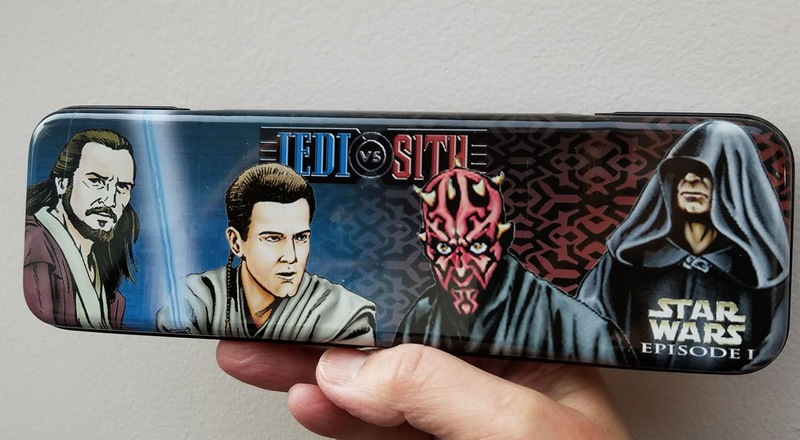 I probably would not have fought you for the pencil case as the presence of the Jedi doesn't out-way that of the Sith. I have a favorite Yoda pencil case and that's enough.